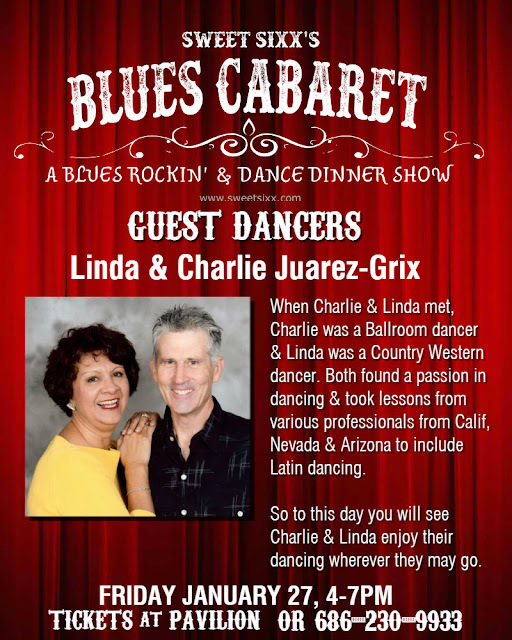 Special guest appearance by social dancers Linda & Charlie Juarez-Grix at this Friday's Sweet Sixx Blues Cabaret performance at the Pavilion in El Dorado Ranch, San Felipe, Baja California Mexico. 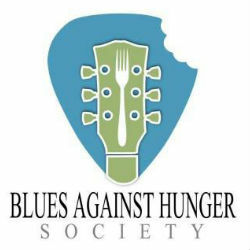 The Blues Against Hunger Society produce food drive blues jams throughout United States and Mexico. The jams are hosted by Sweet Sixx & their Wild Pack Band. 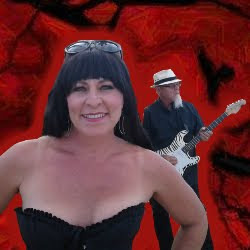 The Wild Pack Band is a blues jam band formed by Sweet & Sixx in 2013. The band is full time touring host band for the Blues Against Hunger Society since 2014. 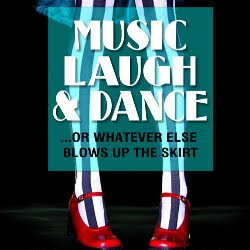 The Swingin' Cabaret is a vibrant dinner show that shakes, rattles and swings all night. Music provided by Sweet Sixx. Sweet Sixx Duo. Awesome Inc. theme. Powered by Blogger.